The country of Scotland is well known for its fiery, individualistic spirit, which is combined with a deep loyalty to the Scottish people and their religion. John Knox, the “thundering Scot,” was no exception to this tradition. Knox is best known as the founder of Scottish Presbyterianism, and he lived during a tumultuous time in the history of Scotland. Not known for his tact, Knox viewed himself in the style of an Old Testament prophet, being God’s “trumpet,” blasting against every king and queen reigning during his lifetime. 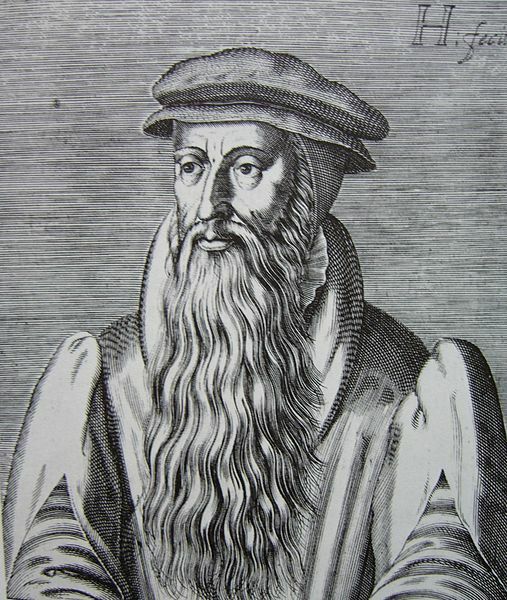 John Knox was born around 1513 in the region of Lothian, Scotland, to a middle-class farmer. Little is known of his upbringing or education. It is likely that he studied at St. Andrews University in St. Andrews, Scotland. Knox was listed on the rolls in 1540 of St. Andrews as a papal notary, leading most historians to believe that he was ordained to the Roman Catholic clergy by that time. Unlike England to its south, which became Protestant in 1533 under King Henry VIII, Scotland had remained Roman Catholic. However, many lairds and nobles of Scotland were increasingly influenced by Protestant preaching and thought. In 1543, Knox became a tutor to the two sons of a Protestant-leaning laird named Hugh Douglas. During this time, Knox became a convinced Protestant. In 1544, Knox became a bodyguard for a fiery theologian and preacher named George Wishart. Wishart preached against Catholic cardinal Beaton and Scotland’s queen mother, Mary of Guise, who were aligning themselves with Roman Catholic France against the military might of England under King Henry VIII. Wishart was eventually captured by the Roman Catholics and strangled and burned in March 1545. The death of Wishart was a turning point for Knox, making him determined to continue the work of Protestant reform in Scotland. In 1546, men conspired successfully to murder Cardinal Beaton and take over his Castle of St. Andrews. Knox was not involved in the initial conspiracy but came into the castle in 1547, simply as a tutor for three boys. Soon after, he was asked to take over the spiritual leadership of the people in the castle. Agreeing reluctantly, Knox preached his first sermon in the castle church in 1547. The castle was eventually forced to capitulate later in 1547 to a fleet of French galley ships and Knox was captured. Knox served two years as a galley slave, then was freed in 1549, and moved to northern England, where he began to preach in Newcastle. In 1553, the Catholic Mary I ascended the throne of England, forcing Knox to flee to Frankfurt, Germany, and eventually to Geneva, Switzerland, home of John Calvin. Knox greatly respected Calvin’s thought and writing and their meeting in Geneva led to a long period of friendship and correspondence. In it, he called the preachers to rebuke more aggressively those leading sinful lives, but then went on to thunder against Queen Mary I of England, who at the time was considering marriage to the Roman Catholic king Philip II of Spain, charging her with usurping the government and handing it over to a foreign ruler. This pamphlet proved influential in strengthening the Protestant resistance to Mary I, which continued to her death in 1558 when her Protestant half sister Elizabeth I took the throne of England. In 1557, Knox published his most famous pamphlet, entitled “The First Blast of the Trumpet against the Monstrous Regiment [unnatural reign] of Women.” Arguing from the Old Testament, Knox contended that it is wrong for a woman to be the head of state, especially turning over the reign of a country to a foreign husband. While there were exceptional times when a woman could reign, he felt that the normal result was disaster. 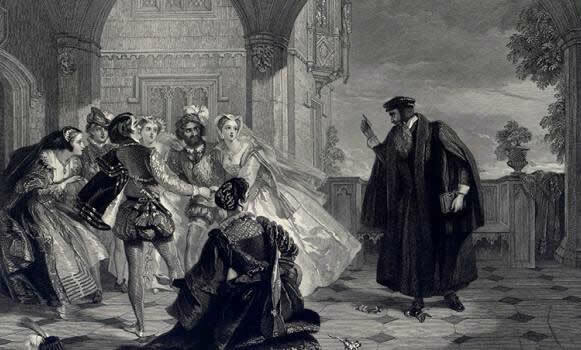 In 1559, Knox returned to Scotland via England, where he received a frosty reception from Queen Elizabeth. By this time, Scotland had several influential Protestant nobles who could protect Knox. Knox was called to serve in St. Giles, the most important church in Edinburgh, where the queen mother, Mary of Guise, and her daughter, Mary, Queen of Scots, lived. In 1560, a treaty was signed by England, Scotland, and France, and as a result, Scotland became officially Protestant, though Queen Mary remained Roman Catholic. Thus began 12 years of conflict between Knox and Queen Mary, often resulting in public rebukes on both sides. From 1560 till his death in 1572, Knox did much to establish the Protestant church in Scotland, from which the current Presbyterian Church takes much of its form. He was a tireless preacher but also organized a system of discipline for both pastors and church members. Knox was against any practice not found directly in the Bible (such as kneeling during communion or devotion to the saints). He also organized a system of financial help for the poor, out of funds raised for the churches. Knox married his wife, Marjory (Bowes), around 1555. Marjory bore him two sons (Nathaniel, Eleazer) but died in 1560. He married a second wife, Margaret (Stewart), in 1563, who bore him three daughters (Martha, Margaret, Elizabeth). He died November 24, 1572.